Welcome to Pangea Builders School. Our intention of this course is to teach you all about off-grid electrical systems using primarily solar and window module to harness energy, wiring off-grid building, and more. What will this course bring you? 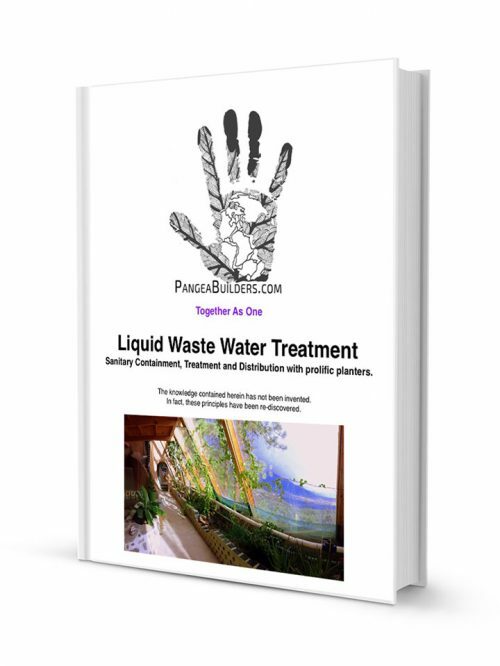 Understand how this system works, how it harvests and stores energy, and how to maintain this system. Know how to custom-design this system for different kinds of applications. Know how, and possibly be able to build this system. Solar power is the conversion of sunlight into electricity using photovoltaics (PV). Photovoltaic (PV) modules make electricity from sunlight, and are marvelously simple, effective, and durable. They sit in the sun and, with no moving parts, can run your appliances, charge your batteries, or make energy for the utility grid. OFF-GRID SYSTEMS: Although they are most common in remote locations without utility service, off-grid solar-electric systems can work anywhere. These systems operate independently from the grid to provide all of a household’s electricity. These systems require a battery bank to store the solar electricity for use during nighttime or cloudy weather, a charge controller to protect the battery bank from overcharge, an inverter to convert the DC PV array power to AC for use with AC household appliances, and all the required disconnects, monitoring, and associated electrical safety gear. Live comfortably and securely knowing you have a reliable power systems for all modern amenities. When the grid goes down, you will still have plenty of power. The new POM accommodates all of the essential protective devices in the smallest possible space at the lowest installed cost, making it ideal for applications with modest power requirements such as cabins, chalets, homes, remote communication sites and backup power systems. Utilizing an extremely compact design and an easy-to-install mounting bracket, the fully pre-wired and factory tested POM is designed for a quick installation, saving both time and money. 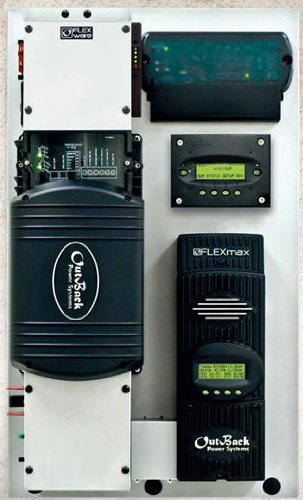 The POM includes a single inverter, AC and DC wiring boxes, a single FLEXmax Charge Controller, MATE3, HUB, FLEXnet DC and Surge Protector while maintaining a small system footprint. The POM 2017 is also equipped with battery and PV array breakers, a PV GFDI breaker, an Input-Output-Bypass Assembly, mounting locations for both AC GFCI Type B and EU Type F style outlets, and additional AC breakers. The POM components carry all of the necessary ETL Certifications allowing for a code compliant installation that saves both time and money while still looking great. The POM is the only choice when you need a fully integrated, true sine wave, reliable power system.